must have meant.” (Financial Times). 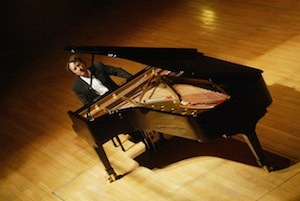 Award-winning pianist Jean-Efflam Bavouzet enjoys a prolific recording and international concert career. He regularly works with orchestras such as The Cleveland Orchestra, San Francisco Symphony, London Philharmonic, BBC Symphony and NHK Symphony orchestras, and collaborates with conductors including Vladimir Ashkenazy, Vladimir Jurowski, Gianandrea Noseda, François- Xavier Roth, Nicholas Collon, Gábor Takács-Nagy and Sir Andrew Davis amongst others. Highlights during the 2018/19 season include the Lincoln Center in New York with the London Philharmonic under Edward Gardner, Orchestre national de Lyon, Helsinki Philharmonic Orchestra, Orchestre Philharmonique de Monte-Carlo, Swedish Chamber Orchestra, a Debussy focus with the Antwerp Symphony, his continuing collaboration with Manchester Camerata including an extensive tour of China as well as performances with Sapporo Symphony, Seoul and Taiwan philharmonic orchestras. Following his highly successful extended Debussy recital at the Barbican’s Milton Court and the 2018 Perth International Arts Festival, Jean-Efflam will present this programme at the Muziekgebouw in Amsterdam. 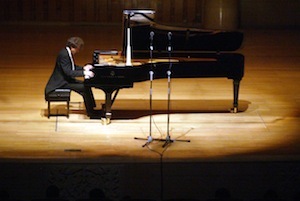 Other recitals include a return to the Louvre, Wigmore Hall – both in solo recital and in collaboration with Kristóf Baráti and István Várdai, as well as a number of recitals in the U.K., Germany and Belgium. He will also return to the Verbier Festival in 2019. 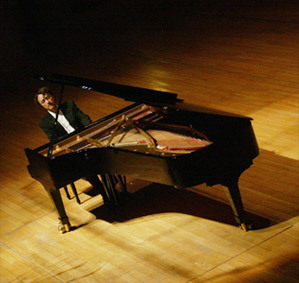 Recent performances include the San Francisco Symphony, Aspen Festival, and Seattle, NHK and BBC symphony orchestras. He also appeared at the Philharmonie de Paris with Orchestre Philharmonique de Monte-Carlo and Kazuki Yamada, BBC Proms performing Ravel’s Piano Concerto in G Major with the BBC Philharmonic Orchestra and Nicholas Collon, Carnegie Hall, as part of a major North American tour together with the London Philharmonic under Vladimir Jurowski, as well as hr-Sinfonieorchester under Juraj Valčuha, Les Siécles and François-Xavier Roth which included concerts at London’s Royal Festival Hall and the Granada Festival. Estado de São Paulo under Yan-Pascal Tortelier. Also with Tortelier, Bavouzet’s recording of the Ravel Piano concertos with the BBC Symphony Orchestra won both a Gramophone and BBC magazine award. Bavouzet’s recordings have garnered other Gramophone Awards and BBC Music Magazine Awards, a Diapason d’Or and Choc de l’année. 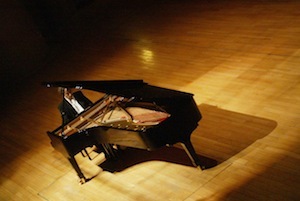 Ongoing recording projects include the Haydn Piano Sonata cycles.